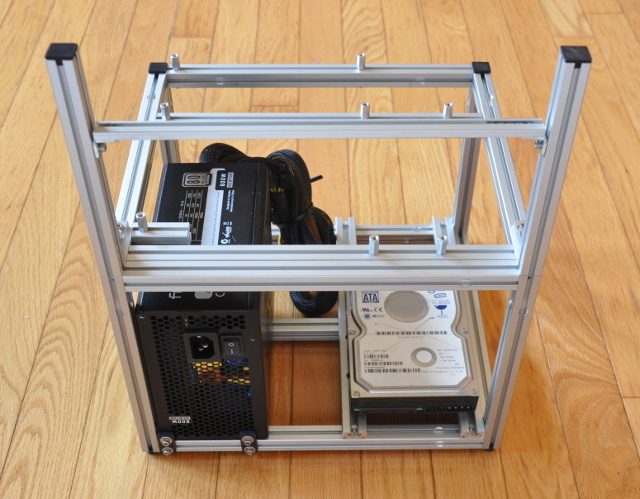 This micro modular tech station (test bench) has a bottom mounted power supply and can accommodate two 3.5-inch hard drives or three SSDs and one 120×1 radiator. 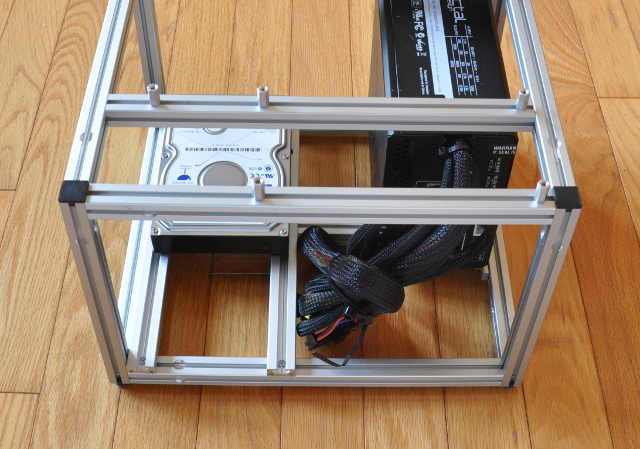 A PSU can be mounted along the back of the case. 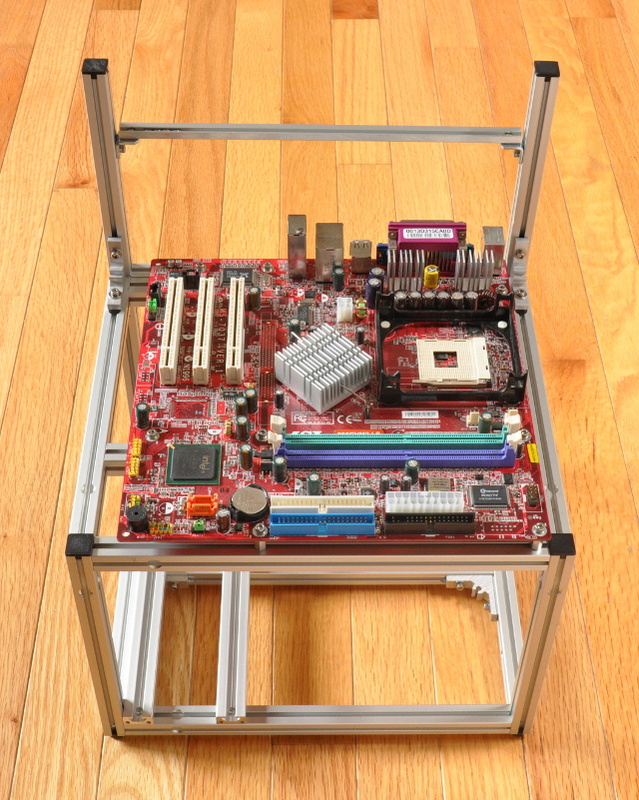 Support for microATX and mini-ITX form factor motherboards. 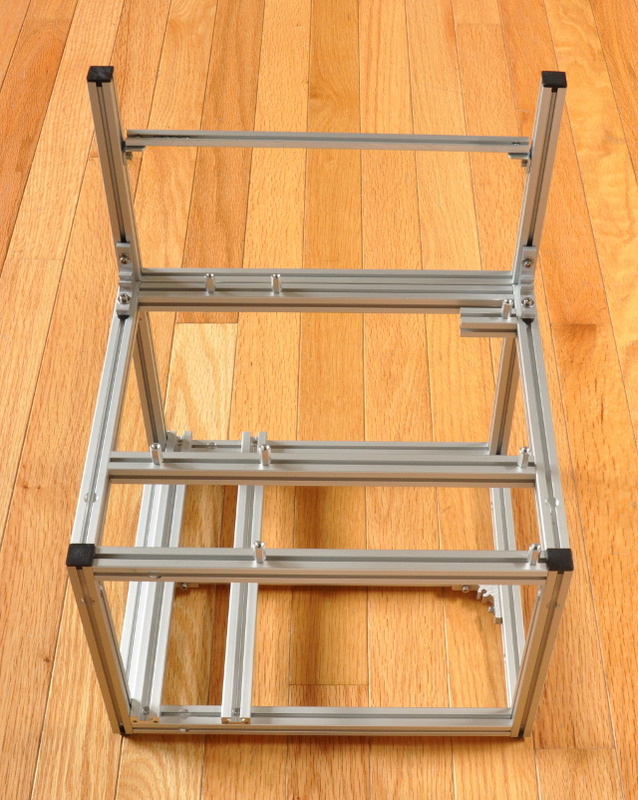 Mount 2 fans or a radiator on/in the bottom and/or top tiers. 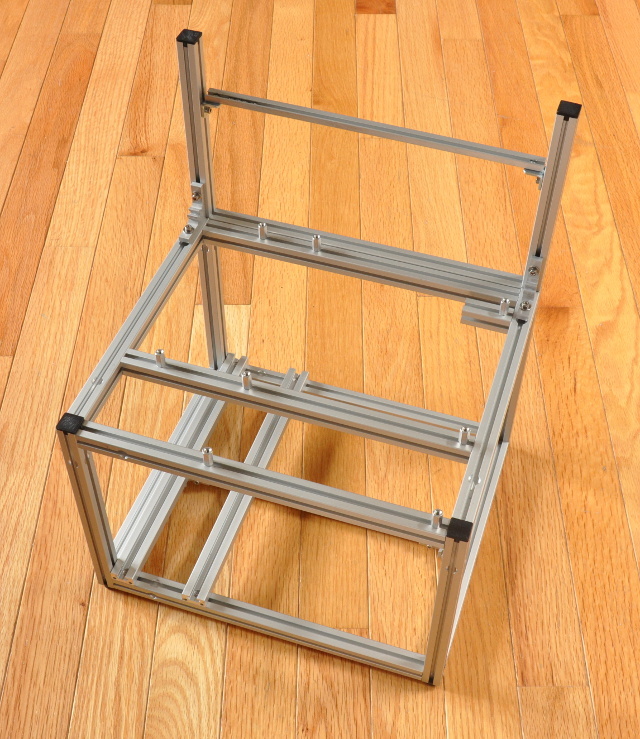 Install two 2.5/3.5-inch drives on the lower level t-slot extrusions. Install additional drives with optional drive rails. Set of optional end-caps can be purchased separately. Weight: 3 pounds 8 ounces.